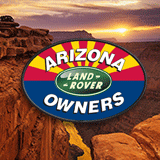 Chad Rose created a new topic ' LR4, LR3, Discovery Wheels for Sale' in the forum. Hi a friend gave me TWELVE 20" LR4, LR3, Discovery wheels. Don't need them any more, so please take them off my hands. Other than a scuff here or there, the wheels are in great shape but the rubber is shot. $20 each.